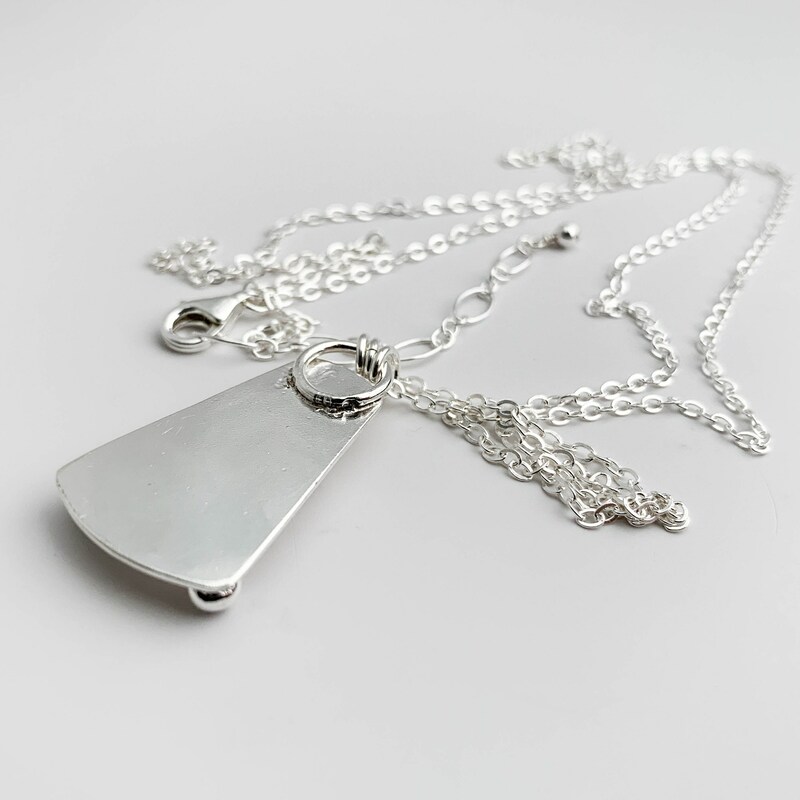 * Sterling silver chain is adjustable from 30"-32" with a lobster claw clasp. 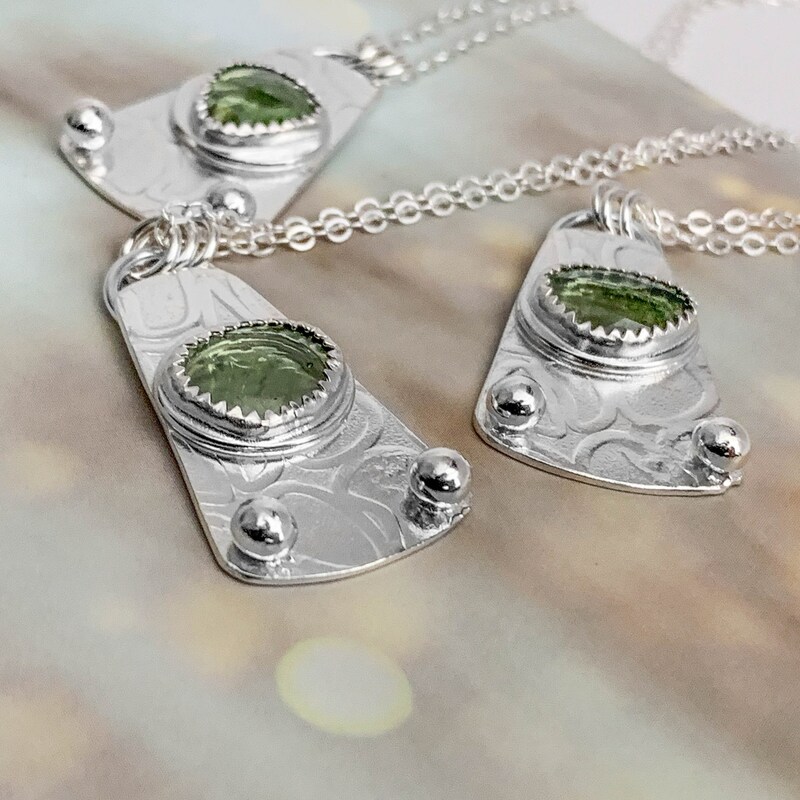 I made these pendant using beautiful rose cut Moldavite gemstones. 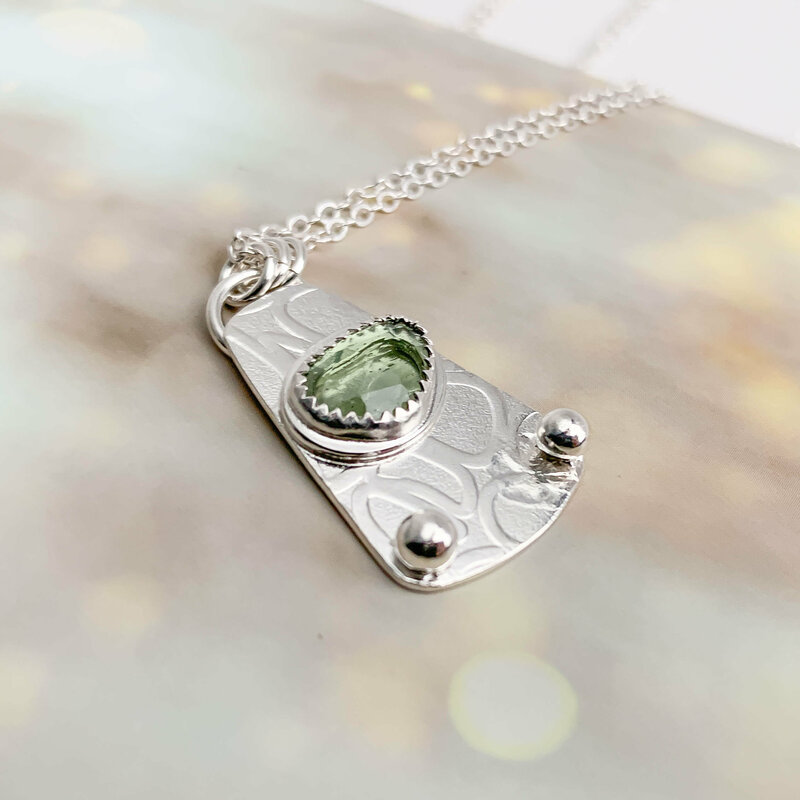 Moldavite is definitely one of the most unique gemstones there is! 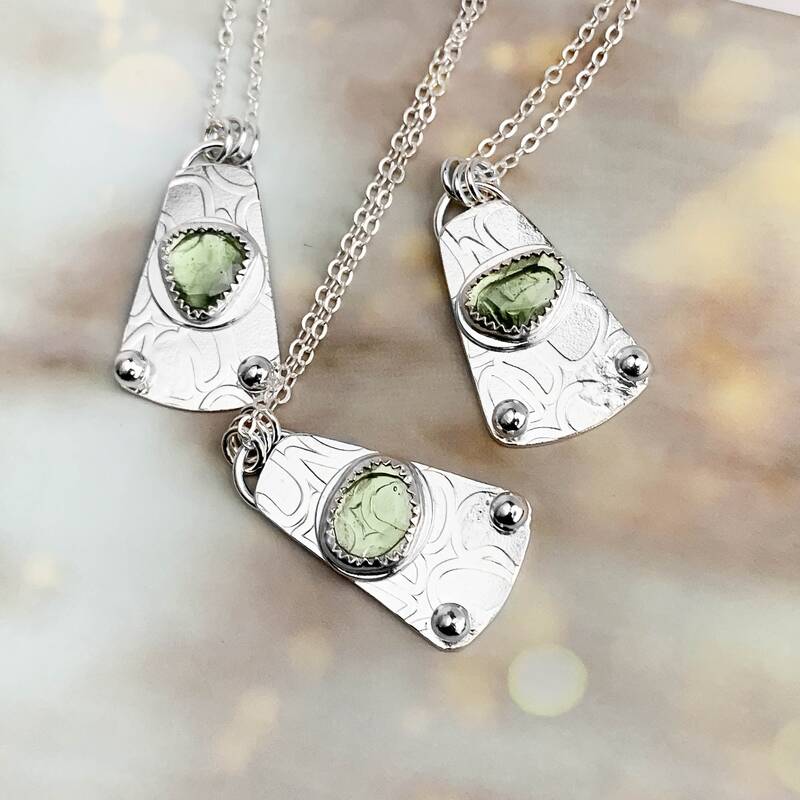 It was formed by the impact of a meteorite hitting southern Germany 15 million years ago. 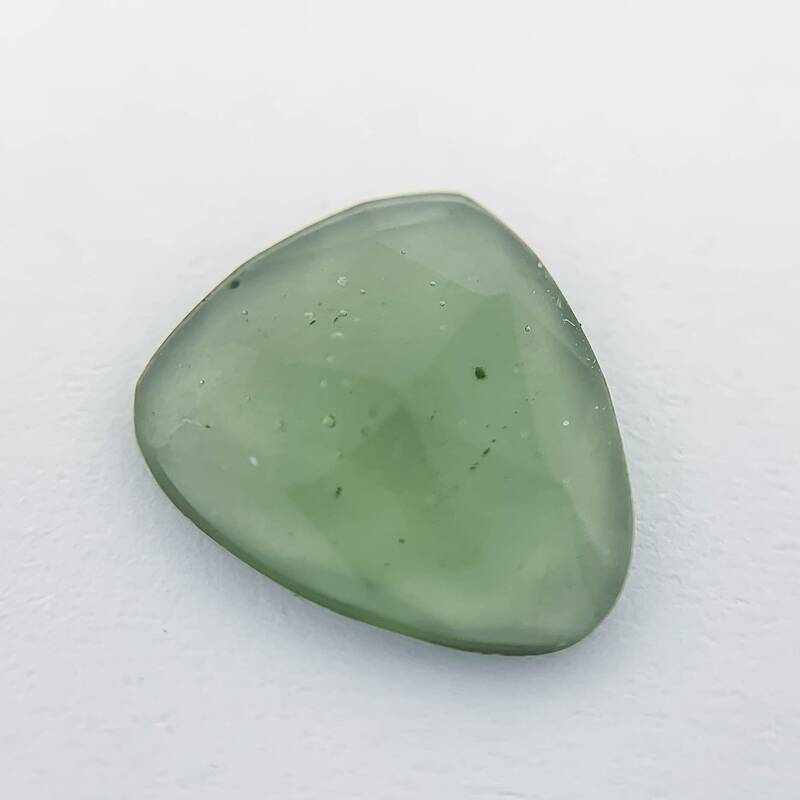 I've always loved this stone and it's bright green coloring but never found it cut into gems. 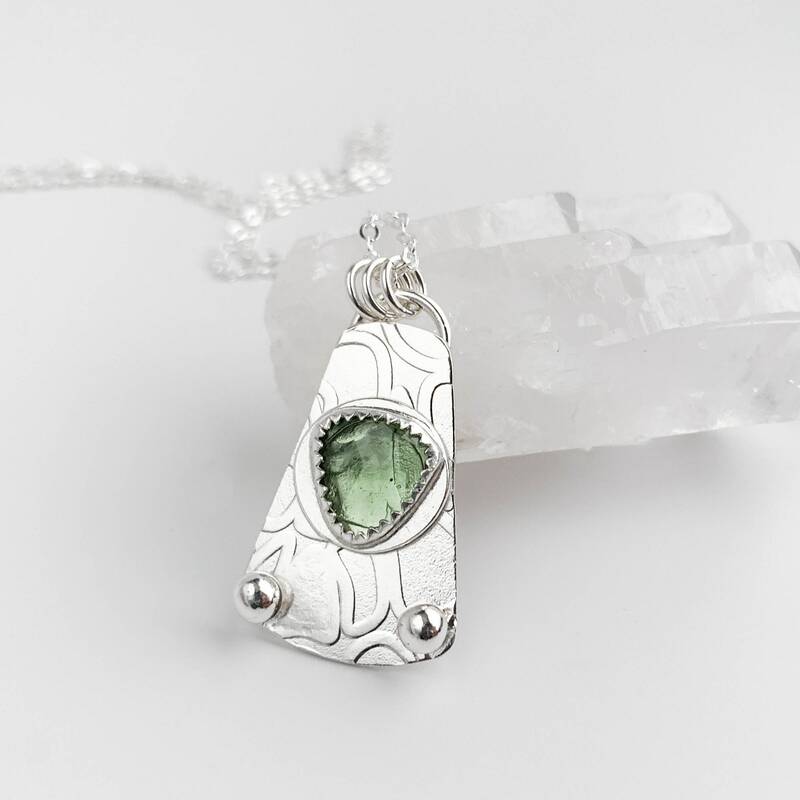 If you do find moldavite it is usually rough, rock specimen type pieces. That's why I had to buy these stones as soon as we saw them. 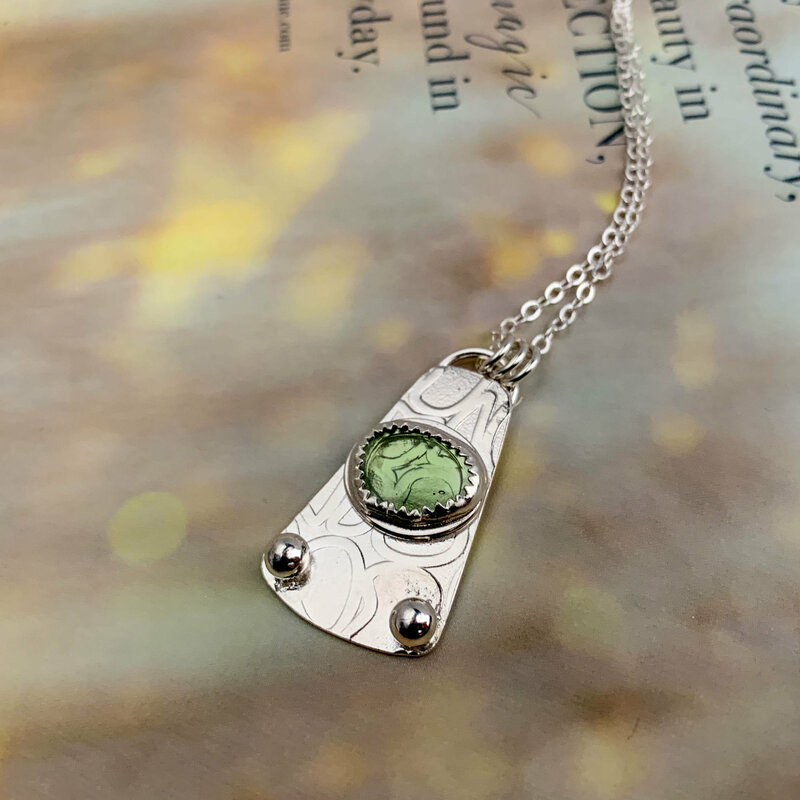 I made the pendant by putting a sheet of argentium sterling silver through a rolling mill with a steel texture plate to emboss the design into the silver. 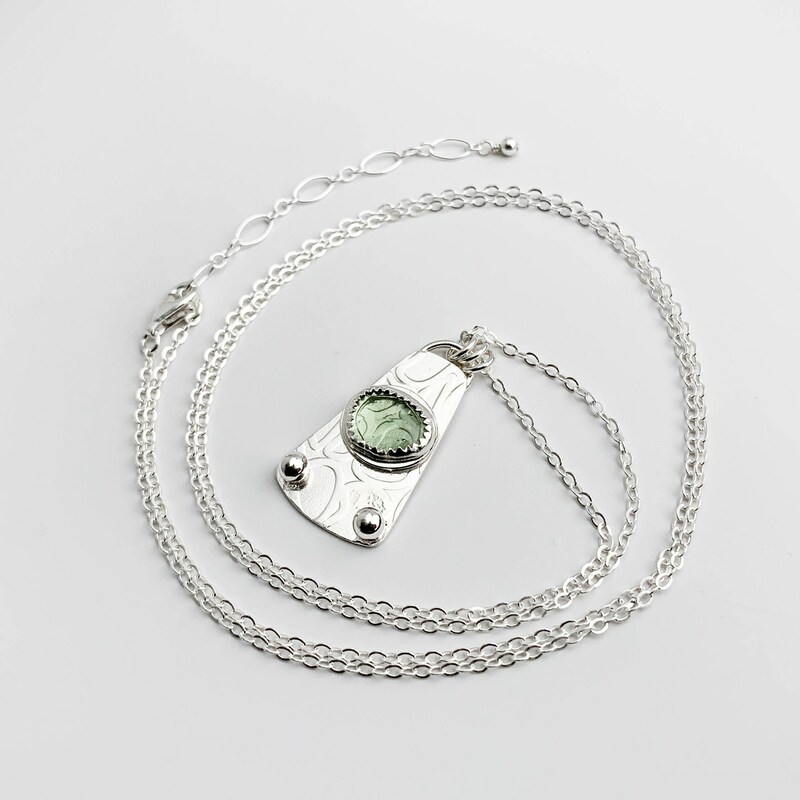 After that I sawed out the shape, and soldered a bezel to hold the stone and a couple decorative silver balls on to it. 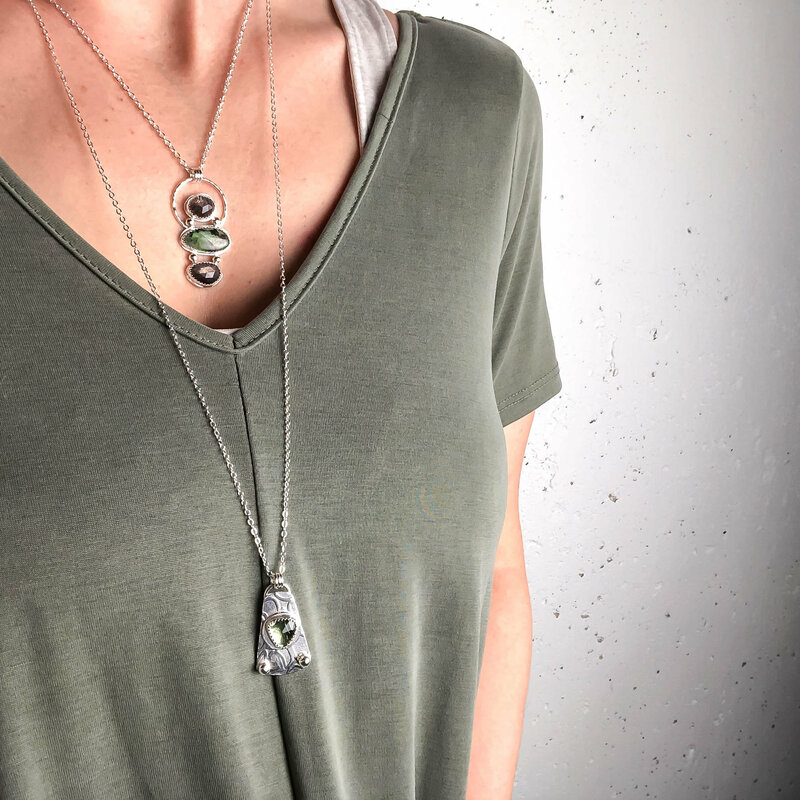 The long length of the chain makes it a great necklace to wear layered with other shorter necklaces. 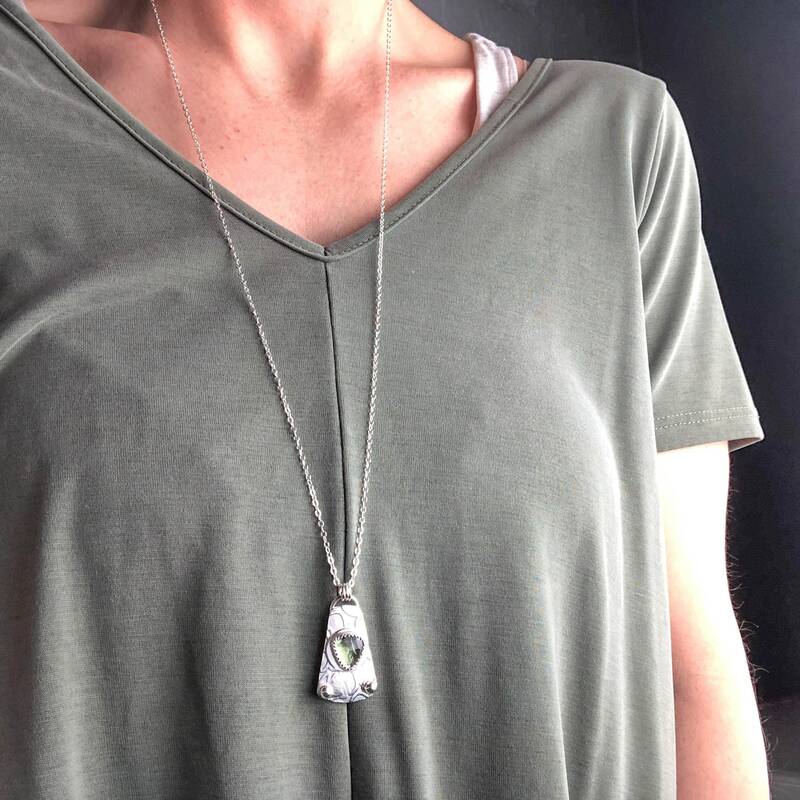 The sterling silver chain has a delicate look to it but is sturdy enough to wear everyday.